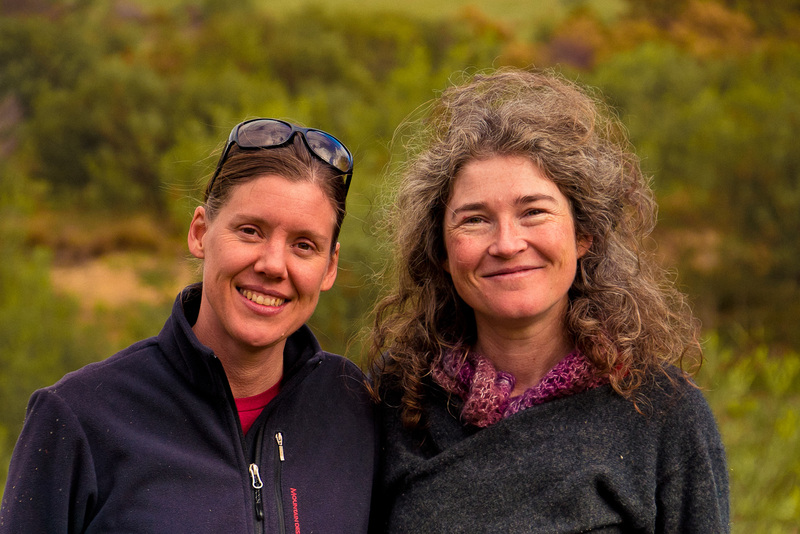 If you haven’t read about our journey visiting Australian intentional communities, check out either my 2015 or 2016 introductions. 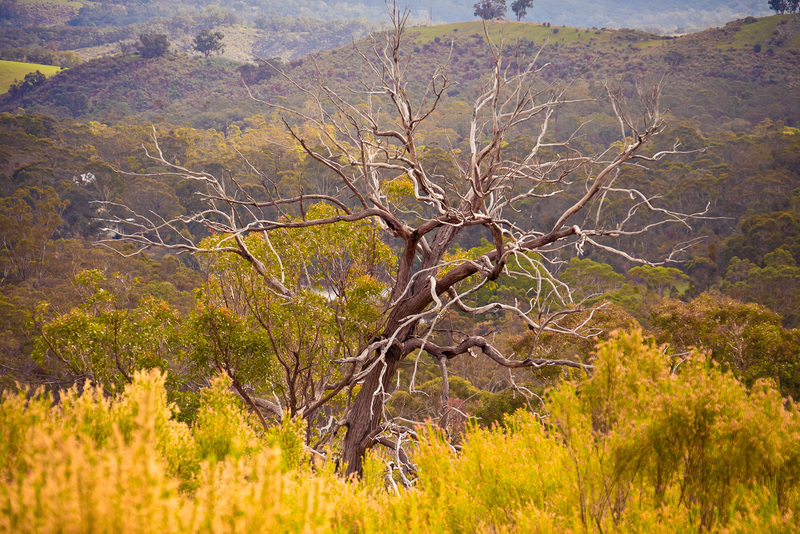 This gallery features some of the photos from our visit to Dharmananda in northeastern New South Wales, a lush rainforested region of incredible beauty. You can’t get fresher bananas than this! Thank you guerrilla artists who decorate the brutal potholes around here!! In case you’re wondering, we don’t necessarily delve into deep research before deciding places to visit. The journey was largely cobbled together by random events or coincidences (some might say this is fate or chosen for us for a reason??). In all this, the only thing that may have benefitted from a bit more research may have been the fact that Narara EcoVillage doesn’t actually exist yet. 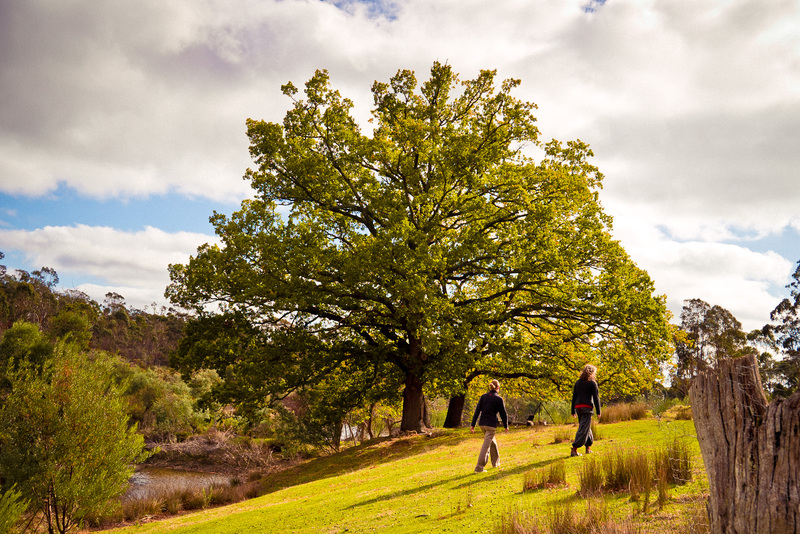 Narara, located at the outer rim of a suburb of Gosford, New South Wales, was formerly a government CSIRO horticulture site and was purchased just 4 years ago by a group of visionaries who knew right away that this was the site for their village. Upon arrival along this rambling dirt road, we were greeted by various permanent structures and a cute community house with large eaves. In and around this space, we were greeted by numerous members of the community who expertly whisked us away on a tour of the (unbeknownst to us at the time) “proposed” village. Essentially, this is a large-ish property (150 acres) with numerous buildings on it from the time that the government used it for growing plants, testing water and so forth. 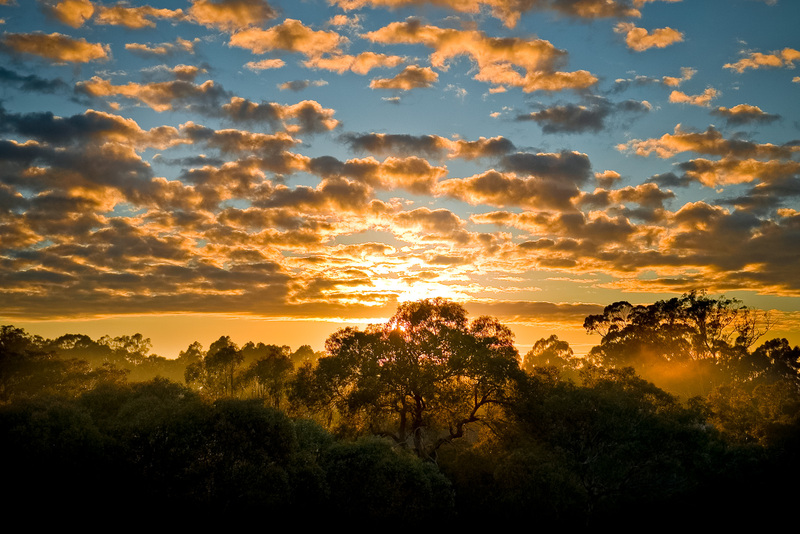 The cooperative entity that they created bought the land for a bargain $5 million (down from $9 million offered before the GFC) and once the council approves the common infrastructure and rezoning applications, the members will be issued their titles to start building houses (end of 2016). 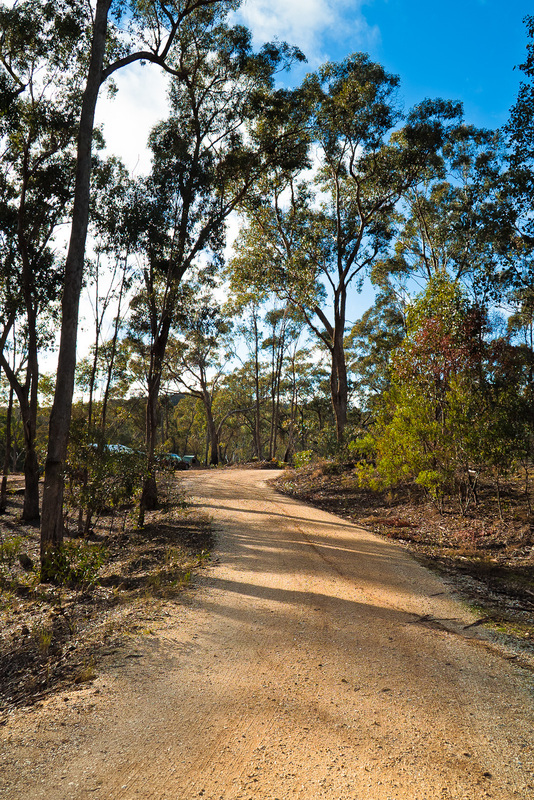 The tour took us through the dirt roads nestled in lush forest as Lincoln, our guide, provided a mountain of great info about things like the “Phase 1 development” and “cluster housing” and “proposed arts zone” and “village commercial precinct”. A great deal of thought had gone into planning the space and once we’d heard that they had been organising and waiting for nearly 5 years, it was easy to see why they were chomping at the bit to get started. 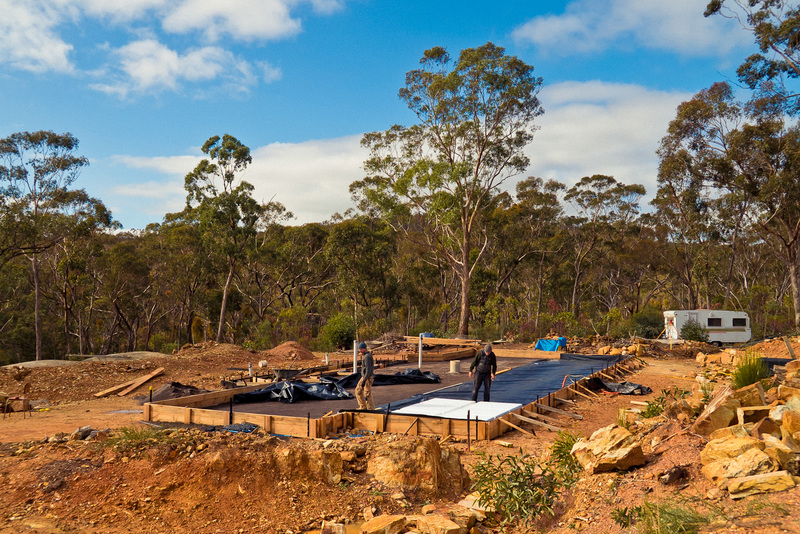 The only thing holding them up was the typically sluggish and dreaded council approvals which every community with freehold lots that we’ve come across has been slowed down by. It’s especially frustrating that positively-charged projects like this actually get held up by bureaucracy more than regular urban development when you see the menu of items that these guys are proposing: community-minded construction, safety and sustainability elements; off-grid capabilities; true community-oriented ideals; organic food growing; holistic health and work-life balance; a showcase and teaching ground for other eco-villages. In other words, a Model Community (this article about 9-star rated homes gives you a sense of what is required to be an eco-rated home). But for some reason, there are more hoops to jump through than a typical zombie-making suburb. A visit to the dam that they will draw water from to treat and supply the community over and above rainwater capture. The dam has enough water to supply the community for 5 years even if no rain fell during that period. 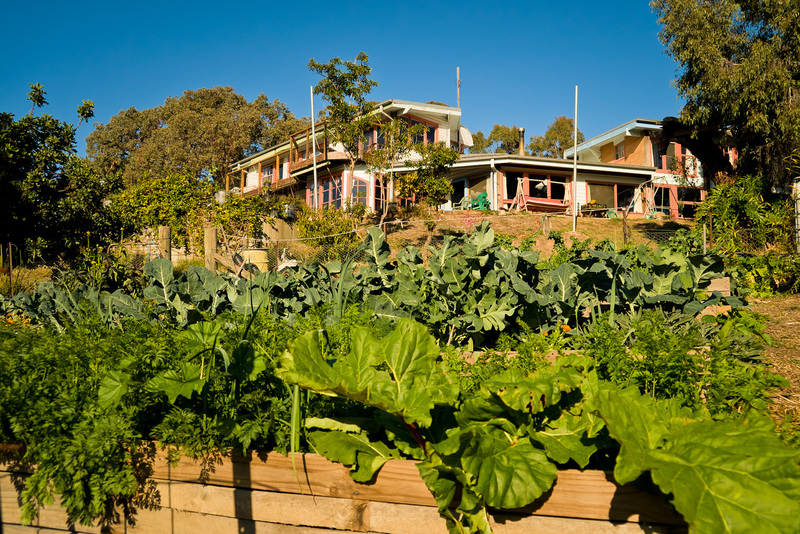 There are many ways to “do community” and the folks at Narara EcoVillage are trying hard to offer a different look to not only mainstream society, but also other eco-villages as well. The feeling I got from these folks was that there is true community spirit at work, and the hospitality they showed was tremendous from a group who don’t even have a physical collection of dwellings yet in place to call home(s). Developing a sense of community amongst the growing number of members (150 adults + 35 kids) was very important to them and I heard that repeated to me by various people as we watched a couple of presentations and chatted in between with the friendly future-residents. On top of that, the wide range of extremely valuable skill-sets that are employed by members of the community is enviable; they are have all the right tools to build innovative homes, take care of all ages from kids to the elderly, create lasting relationships and be economically viable. The wellbeing of the group was clearly a priority and this is what started making me wonder if calling Narara an “eco-village” was accurate; from my perspective, an eco-village focuses on the land and homes with an aim to provide low-impact living from an environmental point of view. Beyond that, it operates much like a regular suburb (or, in some cases, a country club or gated community). 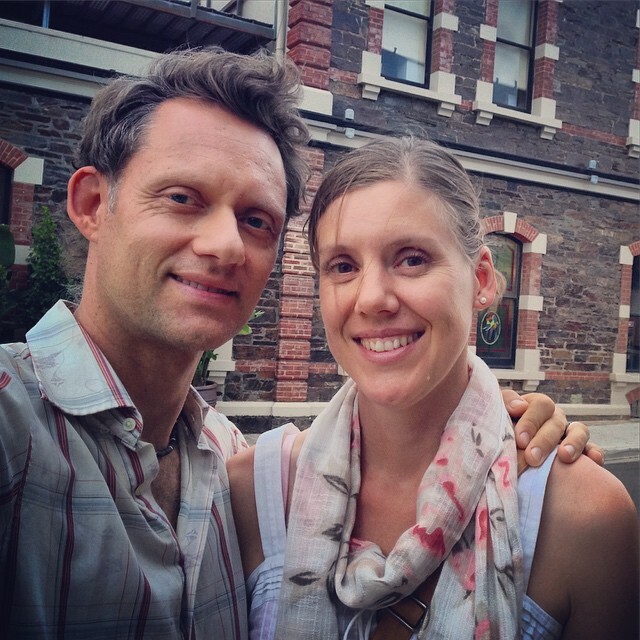 I personally think they are firmly in the realm of a community-with-intent to provide a socially caring, burgeoning spiritual, self-sustaining village with cooperative commerce opportunities and lifestyle elements like permaculture that extend well beyond simply providing environmentally-friendly homes for folks to live in. The term “eco-village” runs along the same broad lines as “free-range” to me, and is possibly doing them a disservice IMO. After witnessing the breadth of opportunity that the land holds, the spirit and sharing amongst the residents, and the ambitious but realistically achievable plans to transform this corner of Gosford into a shining example of a engaging and modern sustainable community, I was very impressed and excited by it. The location for me was a slight downside but an upside to others: I thought Gosford was positioned too close to Sydney insofar as real estate is still very expensive. It’s also a pretty busy place. Folks from Sydney saw it as more affordable (less outrageous than Sydney) plus it is close to beaches, the north coast and accessible by train. With land starting at $300K without a home on it, it is already too steep for people like Heidi and I. They offer a townhome idea for about $300K for a one bedroom unit, but it’s still not addressing the broader demographic of folks with low incomes. Overall, it looks like it will succeed magnificently, and we’ll certainly have to pay it a visit in a couple of years and see what it has shaped into. 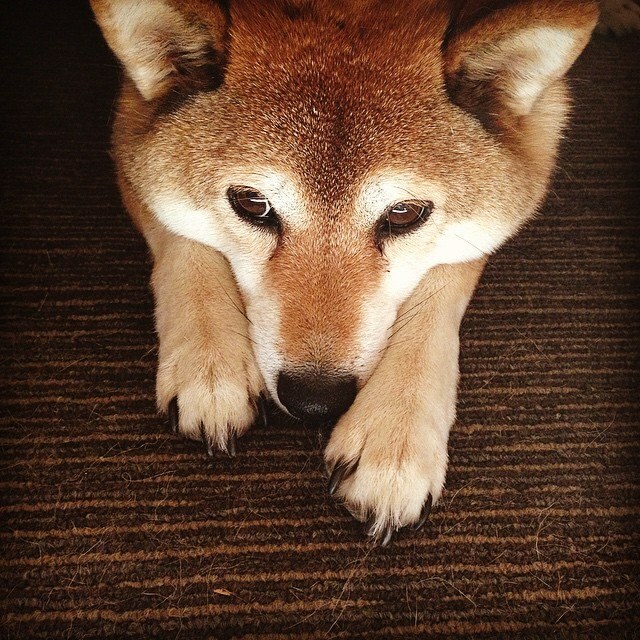 Be sure to check out Heidi’s blog for an in-depth look at the social structures of Narara. At the outset of this trip, I thought that we might be seeing a community “blueprint” that was repeated in each place we visited, with perhaps different variations on the theme. However, as I mentioned in my previous blog entry, not only does the term “community” carry so many different possible meanings, but the look and feel of each one is so varied that the only thing they all have in common is an intent to live together in some sort of deliberate way. Beyond this, the personalities and temperaments, village characteristics, geographical features, group focus, lifestyle choices, governance, spirituality and long-term vision have come in every flavour, shape, size and colour. Beyond this, of course, is finding people who wish to share in your vision and are keen to see it through. The more communities I see, the more I have personally honed a vision compiling the best elements of all of them into my own community ideas, but have been equally tempered by my increasingly reluctance to have to go through the many years required to get the community off the ground having heard what is involved from those who have done it. 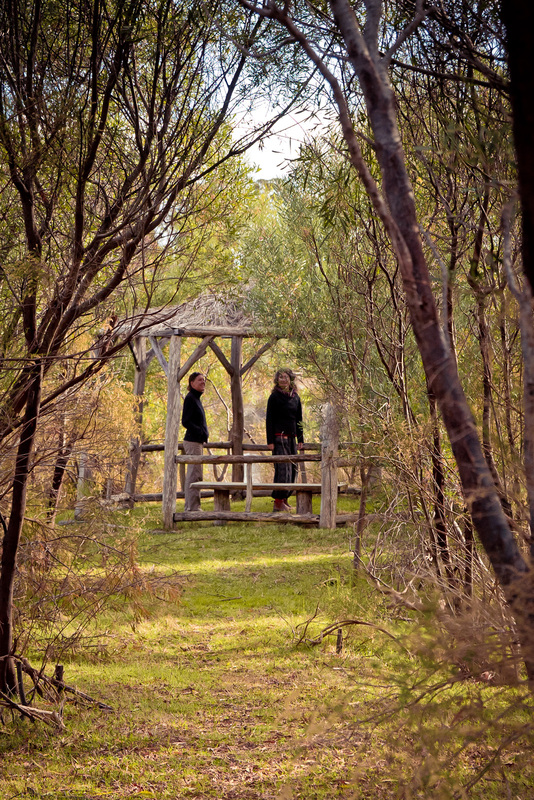 Enter Fryer’s Forest, a pleasant village consisting of 11 freehold plots on a shared 300-acre gumtree-covered property, 20 minutes drive south-east of Castlemaine, Victoria. Having completed another WWOOFing stretch of physical labour here this week, it reminds me just how much work is involved in keeping up and evolving a community. Of course, that’s just the physical maintenance; there’s also the people management which can be much trickier. Our hosts here at Fryers, Tamsin and Toby, have possibly found one of the loopholes to my DIY community conundrum though: they moved to this community shortly after its inception and have been able to ride the benefits of being an original (if not “founding”) member, helping shape the evolution of the village and feel that they have been involved since the beginning yet without having to go through the several years of starting the process, acquiring the land, council negotiations, etc. While I am personally attracted to having a say in the layout and design of the community, perhaps this can still happen on some level if I were to get in early enough but not too early. My own creation desires aside, Fryers Forest is an interesting place and I’m starting to see the virtues of their way of doing community, even if I wasn’t feeling the love as much initially. The closest town is Fryerstown, a hamlet consisting of about 400 people (which likely includes the 35+ folks of Fryers Forest), but the land was formerly a part of the Victorian gold rush 160-odd years ago when around 15,000 people would have lived in the area. Surrounded by thick forest and a peace and quiet we don’t often experience in our urban world, it is difficult to imagine it with gold diggers at every turn. 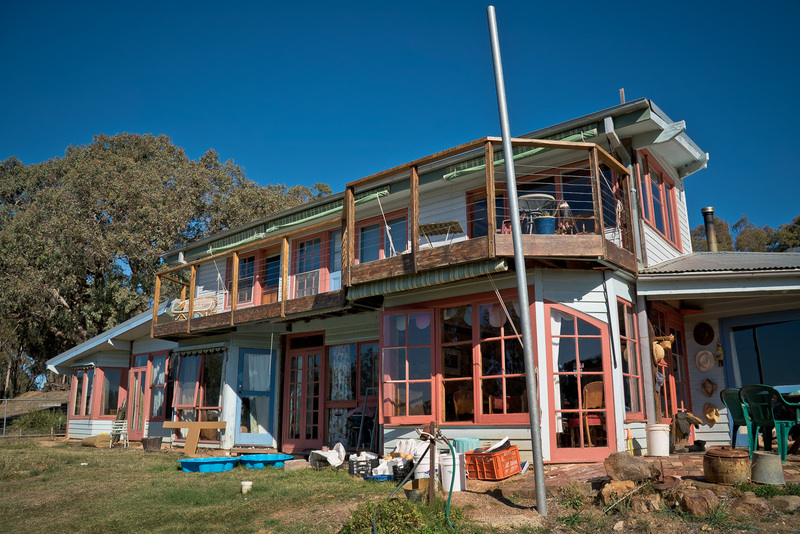 The town was built back in the early 1990’s on permaculture roots with pioneer David Holmgren contributing heavily to Fryers’ original design. As our host Tamsin showed us on a tour of the property, there are permaculture considerations at every turn: tree thinning, top soil catchments (swales), building placements for sun orientation, water capture and transfer, low waste yields, the encouraging of fauna diversity on the property and many more things. 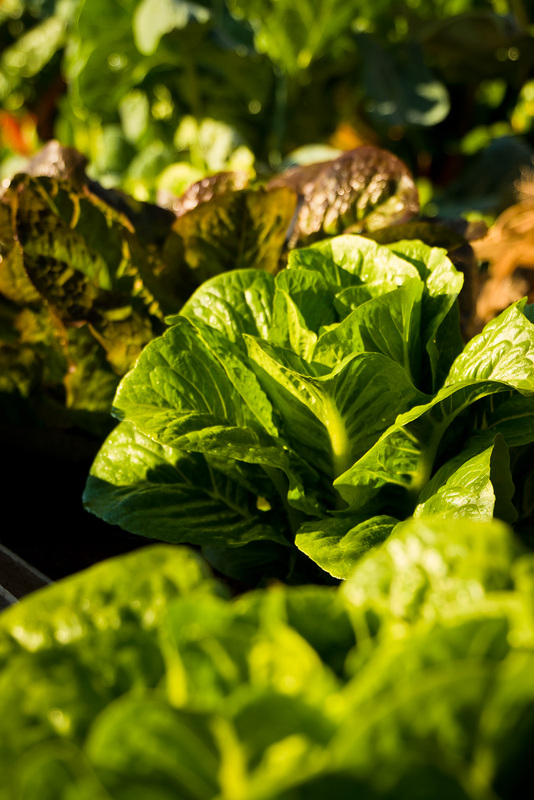 For those not familiar with permaculture’s principles, they are essentially: take care of the Earth; take care of the people; and set limits for population and consumption. From what we could see, Fryers’ members took these principles seriously. Our time was largely spent labouring for our hosts with wood chopping, tidying up the remains of three huge felled 100-year old trees, cleaning gutters and helping around the property. We came at a time where they were exhaustedly managing energetic 4 year-old twins while still helping neighbours with their needs: helping shift wood from the felled trees to use as a neighbour’s new home-building material, a working bee digging rain gutters on the roads, “taking care” of a nasty rooster for a friend, looking after friends’ kids while they were busy, and so on. It became increasingly apparent that the “community” part of their intentional living arrangement was quite active and involved. Tamsin and Toby both admitted that if they were unable to continue living at Fryers, they wouldn’t know what to do as they loved living there so much. 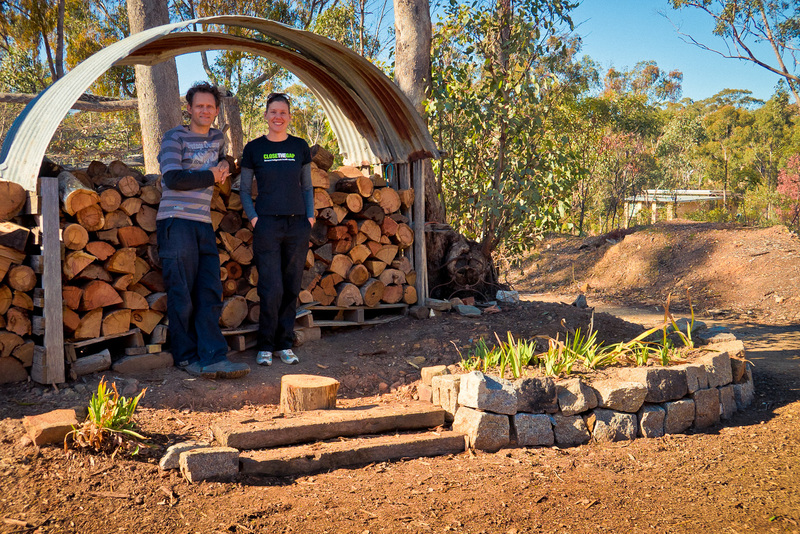 On the surface, Fryers wasn’t all that different from Moora Moora in that people could buy and sell their own land (though MM was as a cooperative arrangement and FF was completely freehold strata style), they lived in a loose village layout with a limited-use central “hub”, they both began using permaculture principles and were both off-grid on an isolated property about 20 minutes drive from a regional town. Interestingly, whereas other places we have visited have either their spirituality and/or social conscience to unify the community members, both of these communities only share their environmental interests (and separation from mainstream society) as the glue that keeps them together. A key difference separating Fryers from Moora Moora though was that the overall community was smaller and the houses were clustered much closer together. I reckon this contributes a great deal to the active interaction between groups. It is of course unfair to directly compare any of the communities as the personalities, planning specifics and overall history have simply made things the way they are, but physical proximity still feels like something that I imagine helps connect people better. 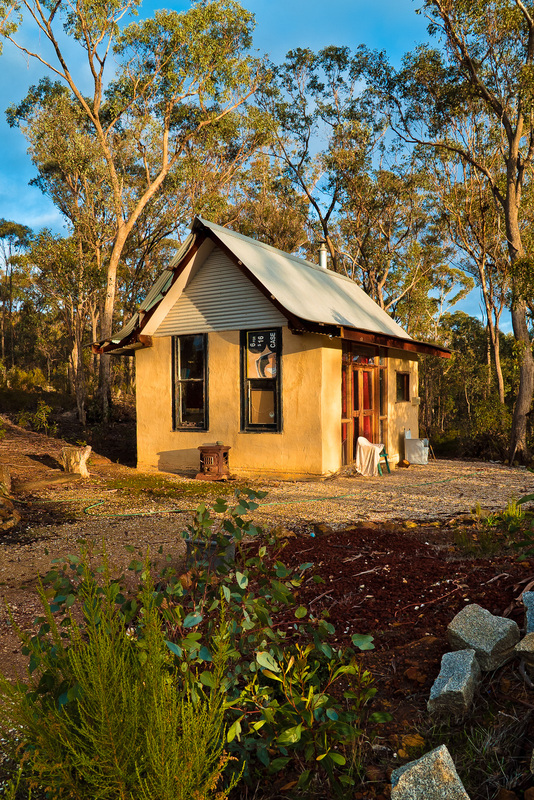 The first four days at Fryers Forest were all about the work around their hand-designed and built home, and even our hosts kept apologising for not taking us into the community-at-large proving that other people do actually live here. Opportunities arose when Toby’s weekly men’s night arrived and I spent a couple of hours with the boys at their community space (an old fibro school house that was transported from nearby Fryerstown) to have some drinks, chats, smokes (not I of course 😀 ) and backgammon. Granted, not everyone was from Fryers itself, but I was able to see the centralised facilities at work plus the bonding between the lads. Heidi had a similar “Happy Hour” experience the following night with the girls playing scrabble in Fryerstown, and we further got to know various people in the village through work we did and via roadside conversations. Further to the idea of member interaction, Tamsin recounted many other aspects of community life she had experienced over the years – particularly with difficult parenting times – like when she would call out on their walkie-talkie system (each house is on the same channel and all have a walkie) that she desperately needed someone to take the kids off her hands, and someone would always immediately arrive to help. Or how the group bus brings the village kids to schools, how people help one another with their home building projects, how on one year together they built a pedal-powered machine to crush tomatoes to make organic pasta sauce for the village, or how the group holds barbecue events where dancing and carrying-on ensues on the foreshore of their man-made lake/dam on warm summer evenings. The more they thought of it, the more great memories began to flow. Despite being more of a middle-class suburb of folks wanting to live outside the anonymity of the city with no external bond seemingly joining them, Fryers Forest seems to be doing pretty well. They just had all of their eleven property sites purchased now and on the way to be occupied for the first time in years, so there is reason to feel optimistic about their future. 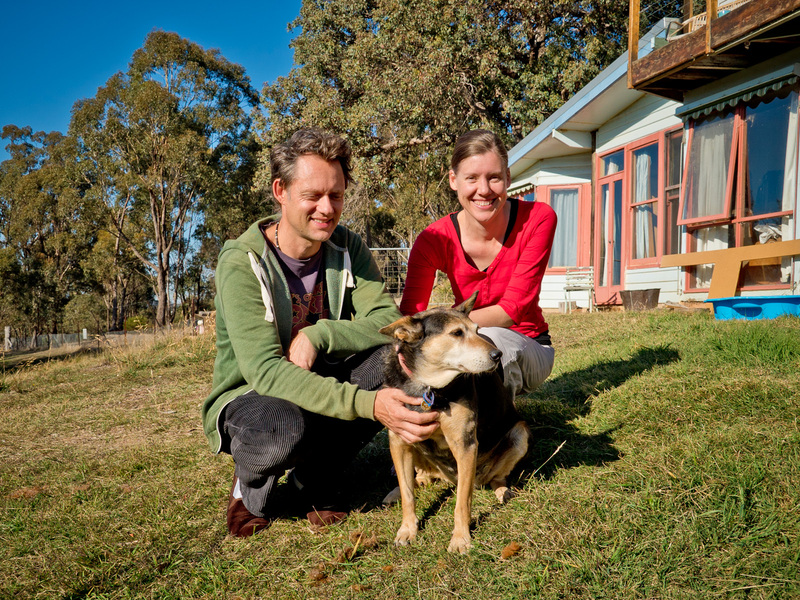 When I first arrived, I wasn’t feeling the community vibe: the forest was dry and the land was hard; but pushing past the superficial aesthetics and getting to know Tamsin and Toby’s family and their neighbours, I started to warm to what they had achieved here. It certainly has a lot of intriguing elements to look if we were thinking of setting up a new community, and I suspect with a longer evaluation, Fryers Forest itself could be a place that could be spent enjoying for many years. As usual, Heidi’s own perspective and thorough write-up about our visit can be read on her blog! 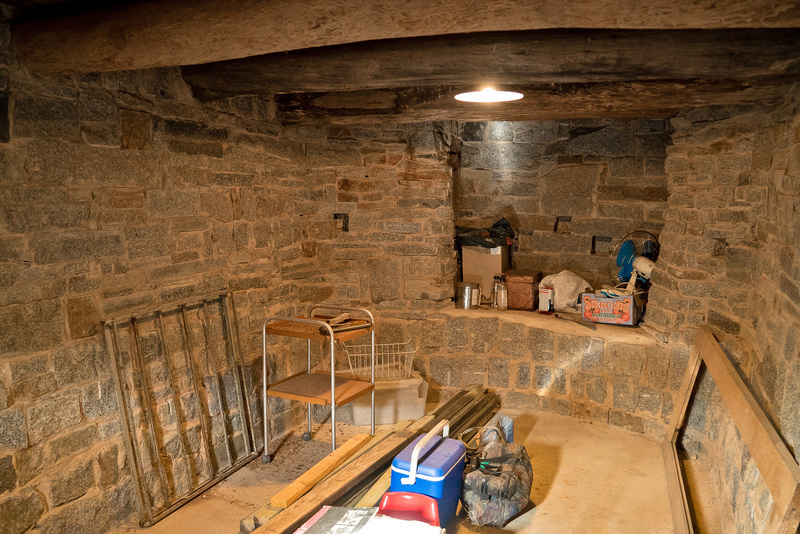 Fire safe-slash-wine cellar. Complete with oven door. What an interesting trip this has been! We’re so very fortunate to have been welcomed into some beautiful communities, with memories that will stick with us for a long time. When we hit our first highlight spots early on, I though that maybe we’d be tailing off a bit from there. But then along comes Commonground, and the goal posts get moved again. With lots of laughs, freely offered information, engaging backgrounds, varying journeys, open minds, good work ethics, shared ethos, and different reasons for ending up in this community, our week here with these great people was delightful and, frankly, difficult to leave. 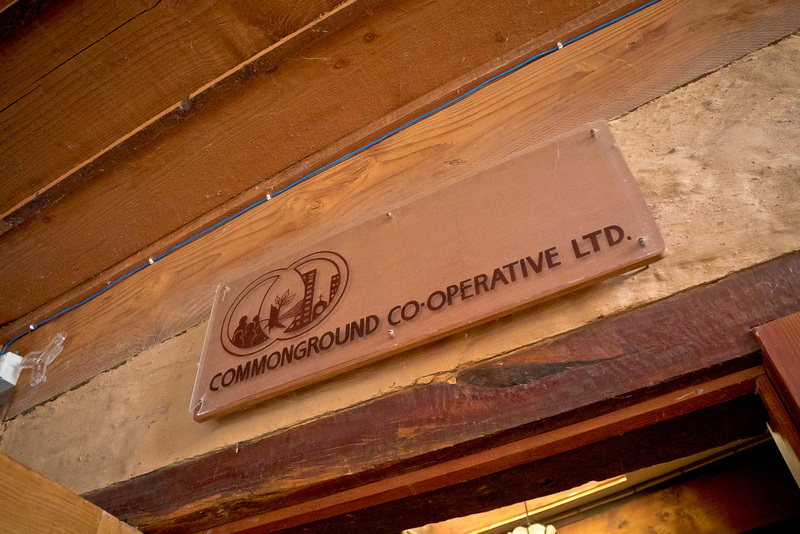 Going into this experience, we already knew about how Commonground had been around since the mid-80’s and were more than just an intentional community, so we felt confident that we’d see a well-established place that couldn’t have lasted this long without having a solid foundation. Interestingly, whereas everywhere else we’d visited so far had an obvious spirituality at its core, Commonground is instead centred around social change. However, there was a palpable “spirit” to this place which transcended a prescribed doctrine. To develop a vibrant Intentional Community of people living and working together at Commonground. poverty and injustices, the grossly unequal sharing of the worlds resources, the nuclear family, women’s issues, indigenous issues and the state of planet Earth!” Given their wide range of skills and backgrounds, they began to shape their focus: “At some level we did not want to just keep fighting against the structures and problems we saw. We felt it must be possible to create other ways for us humans to live more collaboratively on the planet.” Being that they wanted this community to be built on on ongoing movement and not just individual owner/share collective, they opted to be a non-for-profit to ensure that the community continued well past the original owners’ lifetimes there. Two of the original members we hung out with most while there were Phil and Kate; 30 years on and they both seem keen on keeping the original plan on track and intact. 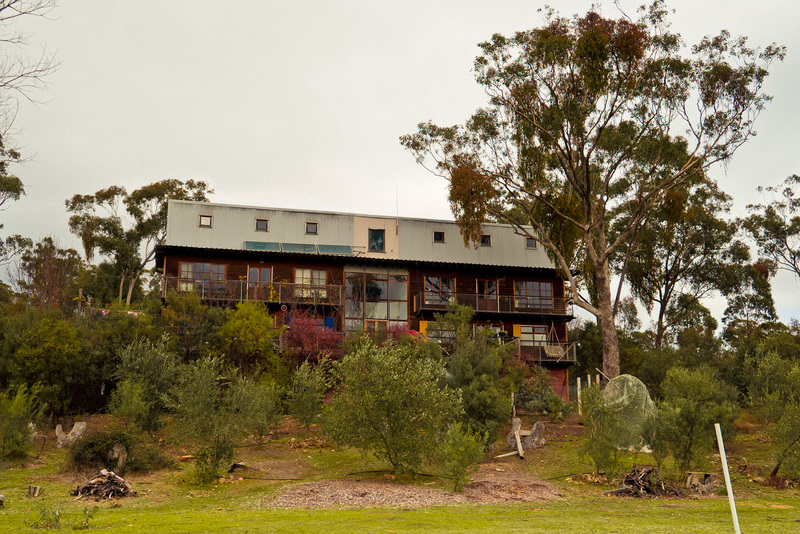 The property at Commonground is set up with numerous buildings, the main one being “The Wedge” (pictured above) where we stayed and which also houses the conference centre and guest accommodation. There are currently about 6 people who live full/part-time at The Wedge with another 7 at other hand-built homes around the 95-acre property. On a given day, nearly everyone living on-site will pass through the Wedge to cook or share a meal, do some work, have a chat or rest. The cooking roster involves everyone and all dinners are shared so the dining room ended up being a great place to catch up on the day and keep the Commonground family close. We never felt uncomfortable being brought into this fold as everyone was quick to engage in conversation, answer our questions or help us out in some way. 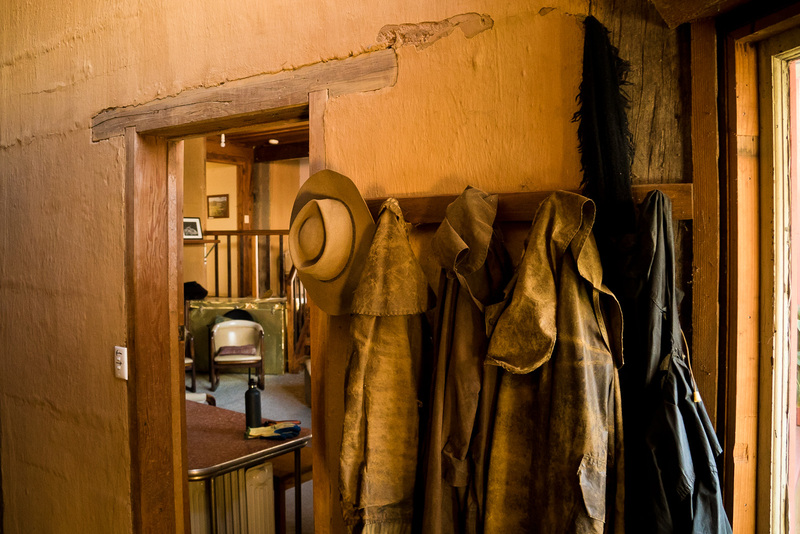 Heidi and I were given a room in the conference quarters (and later moved when a group rolled in); the whole Wedge building is filled with a myriad of mud-brick walled bedrooms and bathrooms, each with their own character and outlook to the uninterrupted bushland surrounding it. While not built entirely for off-grid living (no solar due to prohibitive cost when it was built, and the need for reliable power during conferences; one outdoor composting toilet but rainwater and dam water within), the innovative acquisition of building materials and recycled pieces that make up the building coupled with a reuse & repair philosophy and zero-waste gardening makes for a very sustainable contribution to the community. Even though we had eyes on Commonground for the intentional living angle, we were visiting as working holidaymakers and were given extracurricular tasks on a daily basis to help out the local residents who might not get to them as often. 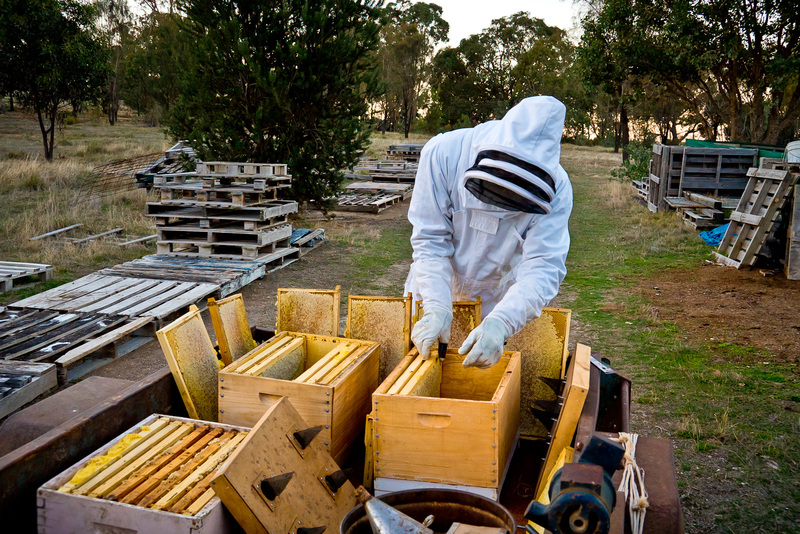 Our tasks tended towards food-related and preserves as a few items were ready to be harvested. 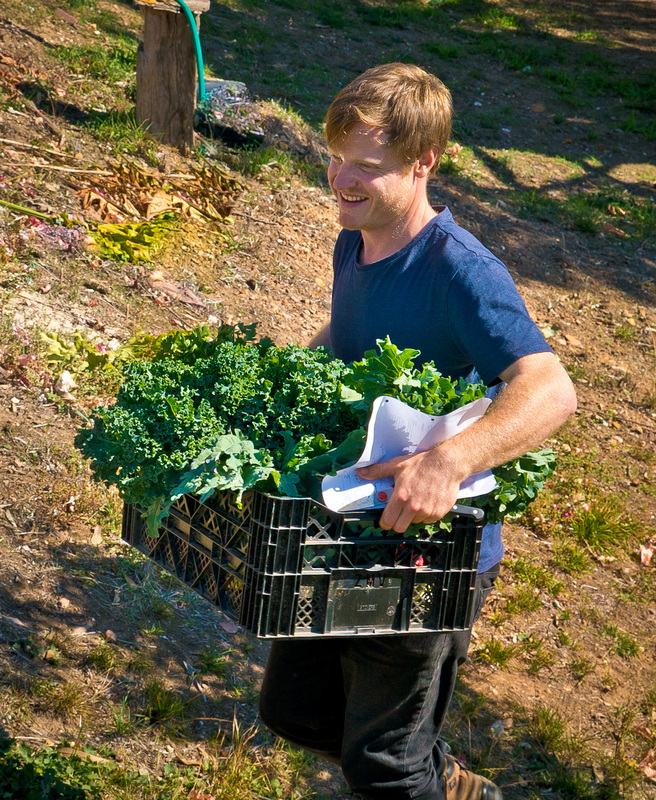 Picking, cutting, juicing and bottling was the core of our labour, but being that the kitchen is a cross-roads that everyone passes though, it was a good spot for interaction and conversation. To our delight, all this food prep meant we were able to take advantage of the extensive gardens kept up largely by Brian and Carl, with a green-grocer level of variety to choose from! There’s nothing nicer than creating an entire meal out of ingredients pulled from the ground as we did for our lunches many days. 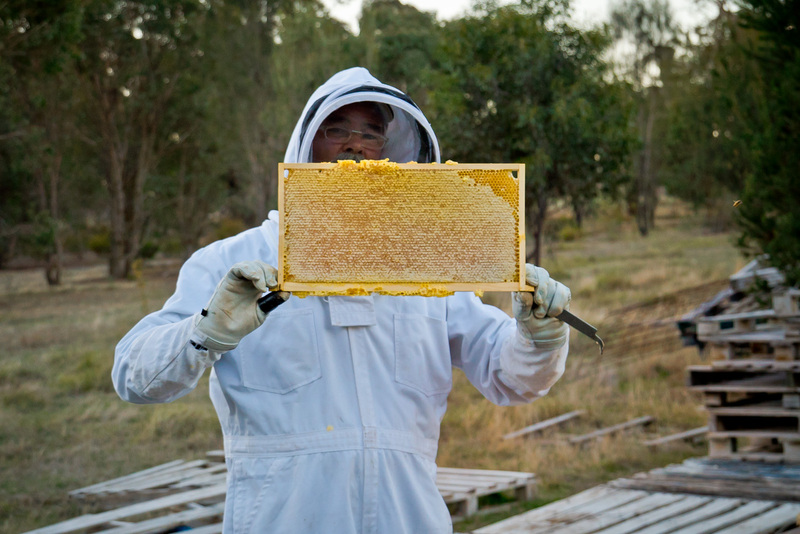 Brian had also been keeping bees for the past couple of years, so delicious fresh honey was also always available. 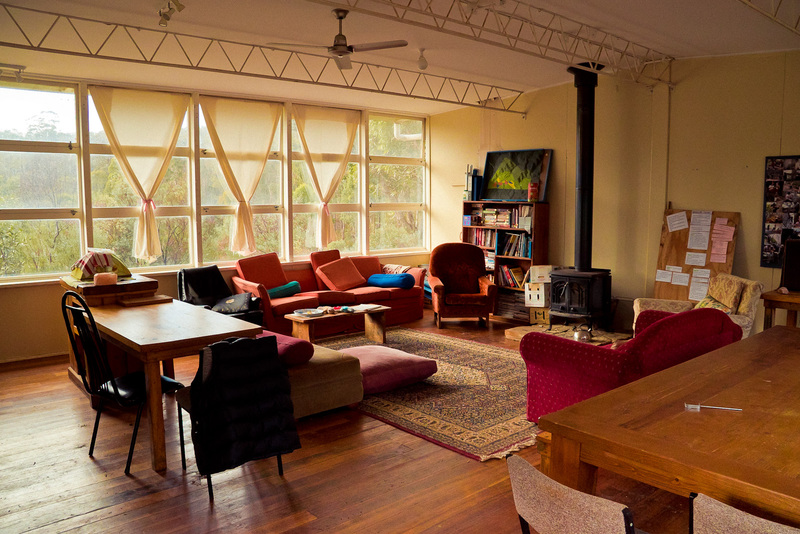 I was beginning to think that places like Commonground were an amazing secret with their balance of low-intensity work life, bountiful social interactions, beneficial child-rearing opportunity with co-parenting, constant fresh and healthy foods, low-enviro-impact lifestyle and serenity only an hour out from Melbourne. But I think the word is getting out indirectly through things like their near-weekly groups that use the facilities as a group-work facility, the representation they have in Melbourne, the connection with local town Seymour and the recently-minted boutique music festival which brings in a limited number of punters who are as interested in the workshops as in the music. Not everyone is rushing to be part of this intentional community despite these inroads, but they seem to get a regular stream of devoted workers/members which continue to keep things afloat. 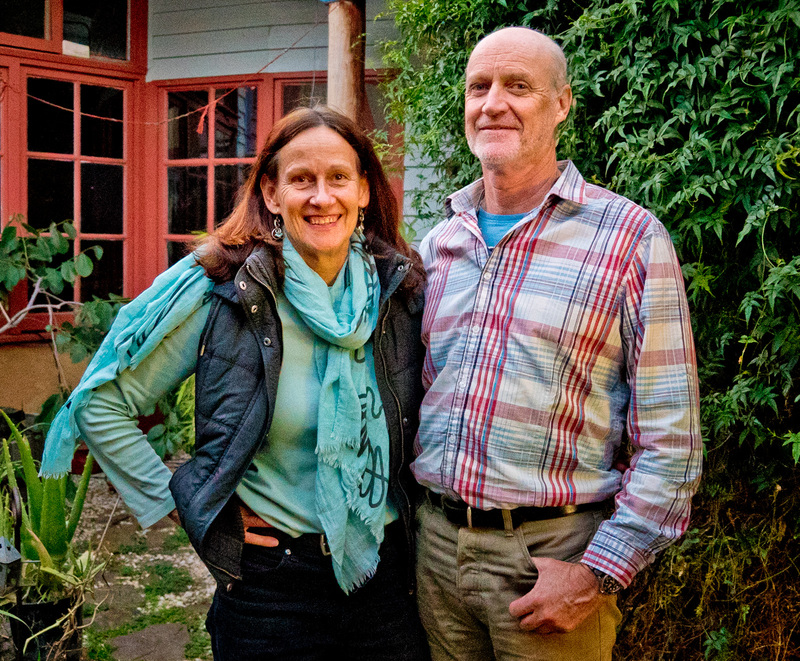 Still, Kate and Phil told us about how they are currently tweaking some of the core membership attributes to ensure that the community lives on well past their own ability to live here which might entice more folks. Commonground takes a certain type of attitude to be part of: living with a close-knit group plus a willingness to hold lightly to money insofar that you are working to contribute to the health of the community but you can’t just walk away with a lump sum if you decide to leave. In my current state of mind, this seems ok to me: with a one-time membership cost of $100, a very modest $30 weekly contribution to the food and bill kitty and 10 hours of expected weekly work for the community in exchange for comfortable on-site accommodation, delicious freshly-grown food, the responsibility of cooking for the household only once a week and the rest of the time spent doing your own work or learning new skills with some of the many projects on the property….well, it seems to me like a great deal. To cap it off, the people you’re living and working with are exceptional, friendly and like-minded folks. To say that we aren’t tempted by what Commonground offers would be an understatement. But this lifestyle still doesn’t seem to be a likelihood for many in mainstream society and I think it all comes down to assets: we cannot acquire anything at Commonground and thus all your work there won’t help you buy anything “in the real world”. Again, I’m not bothered by this, as long as you are willing to concede to living the rest of your life in this or a similar community. Of course, there is time to bank up savings and then move on but I see this type of community as one that you don’t want to leave because it provides you with most of the things we really desire out of life…things you can’t buy. There are heaps of things I could talk about from our week at Commonground like excess cantaloupe (we spent hours making cake, juice and sorbet), the creation and naming of cooch grass beer (Carl came up with “Cooch Hooch”), Kasia’s obsession with psycho-drama to help sell items around the property (none of us could really figure out what a psycho-drama was), Greg’s deftly-placed one-liners at meal times and talk about his recently purchased cigar-box guitar, Phil’s wry sense of humour and helpful direction, Ed’s direct-questioning and foul-mouthed hilarity, Izzy & Carl’s foozball fixation and much more. Overall, it was such a rich week of enjoyment, learning and experiencing community that we are forced to once again re-think what we want out of a community and what could be a good fit for us, even in a shorter term. As usual with this trip, things are getting very exciting! As usual, Heidi’s take on Commonground is filled with some beautiful thoughts and a unique perspective from mine. Make sure you have a look. This looks like it could be a great film and especially relevant to the trip we are currently engaging in. In this four minute trailer, there are already some great takeaway quotes and things to ponder about the future of our planet and how permaculture principles are vital to our survival. 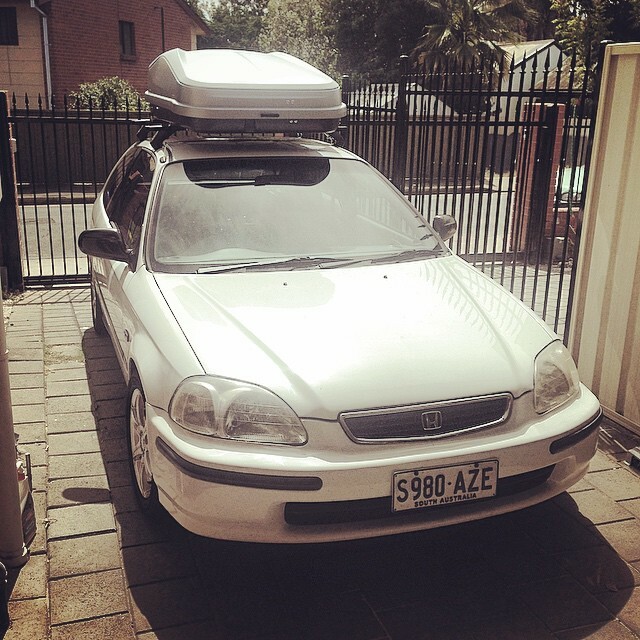 I’m homeless, jobless and about to hit the road with only a Honda Civic filled with the basics needed to get by. 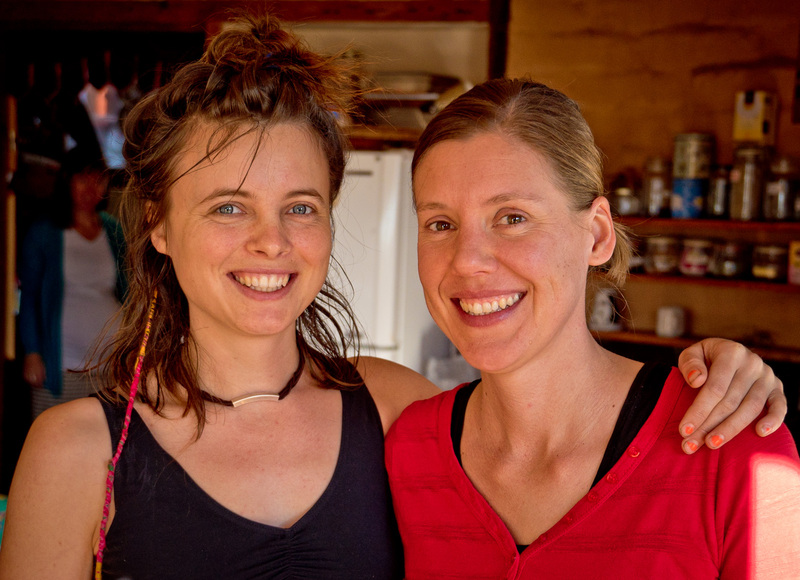 The aim is that it’ll be a two-month escapade of community living, WWOOFing*, meeting like-minded individuals, learning new skills and awakening the creative part of my brain that feels like it has been dormant for awhile. I can’t wait. Truth be told, the traveler, explorer and generally curious information-seeker in me resonates with this type of trip, however the introvert and day-to-day homebody will struggle with aspects of it. I suspect that some of the personal growth I will look to gain could be in improving patience when I feel “people-grumpy”. Also, as Heidi will likely attest in her own blog writings (which I will link from here once she has her blog live, so you can have an alternate perspective of this journey! ), a large component of this trip for her is the connecting with people in community, particularly if they are living out a Christ-centred spirituality in that community. She too is interested in environmentally-focused teachings but Heidi is more of a people-person than me. And for little Kito, this will either be the doggie adventure of a lifetime (Kito is extremely gregarious and will lap up the attention) or it will be a struggle for him as – like with many dogs – they like home and some regularity –something he won’t be getting much of with all of our moving around. Still, it’ll be great to be able to share the adventure with him and it’ll give him some great stories for sharing with the other dogs around the water bowl at the park. For now, there is a bit more prep as we shift our lives of relative comfort (where we are house-sitting at the moment has a giant HDTV, all the mod-cons you get with houses these days, is close to North Adelaide’s shops and abundant restaurants, and is great for “lifestyle living”), to bringing only enough to get by, while the rest of everything we own is crammed into a storage locker. It’s a healthy thing to do…I recommend it to anyone. It certainly forces you out of your comfort zone, forces you to assess all the accumulated “stuff” in your life and purge, and gets you realising that life should be about the people (or animals) and experiences that you care about, and not really about how much you have accumulated. You’ll be remembered for what you said and did, not what you bought. In my opinion, life should definitely be about exploring, learning, creating, connecting and sharing….with a freedom from the shackles that either society, government or advertisers would like to lead you to believe you should be living. So, starting in early April, I’ll be aiming to jot down experiences and share some photos from each of the dozen or so places we intend on visiting. Some places will be day visits and some will be week-long journeys embedding ourselves into an existing community. Follow this blog by subscribing >> or through Facebook with links to entries when I post them! 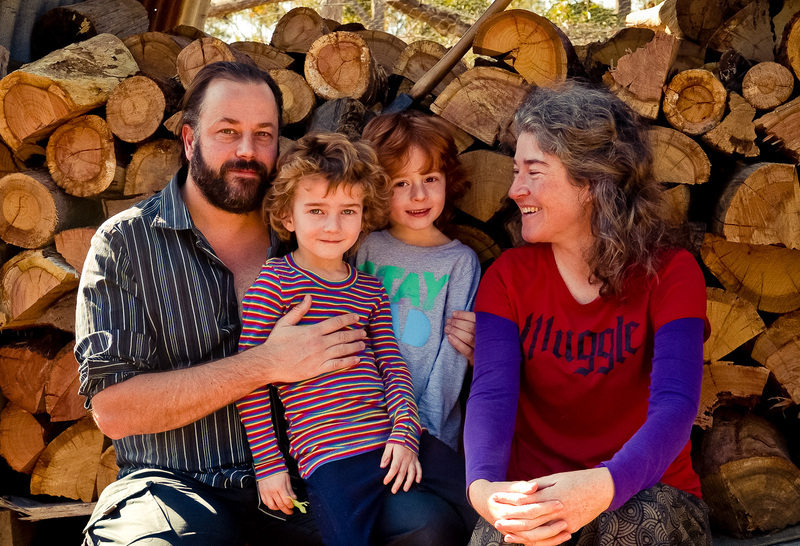 Here’s a couple of the terms I mentioned above; some of you will be well-acquainted with these already, but I have had a fair number of quizzical expressions with WWOOFing and intentional communities, so I thought I’d put my definition of them here! 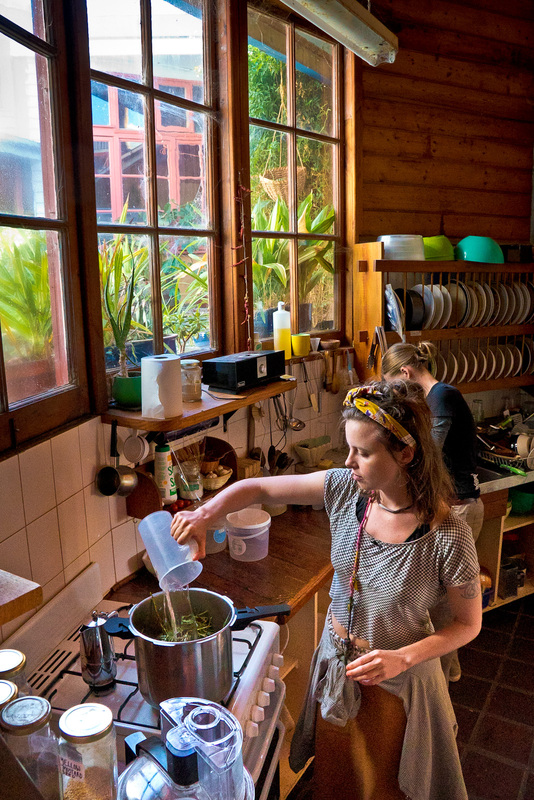 * WWOOFing – technically comes from “Willing Workers on Organic Farms” which really means that this is a pure trade of skills/labour for food and accommodation. We’ll help folks out with whatever they need on their property and they’ll put us up. Good deal for everyone! 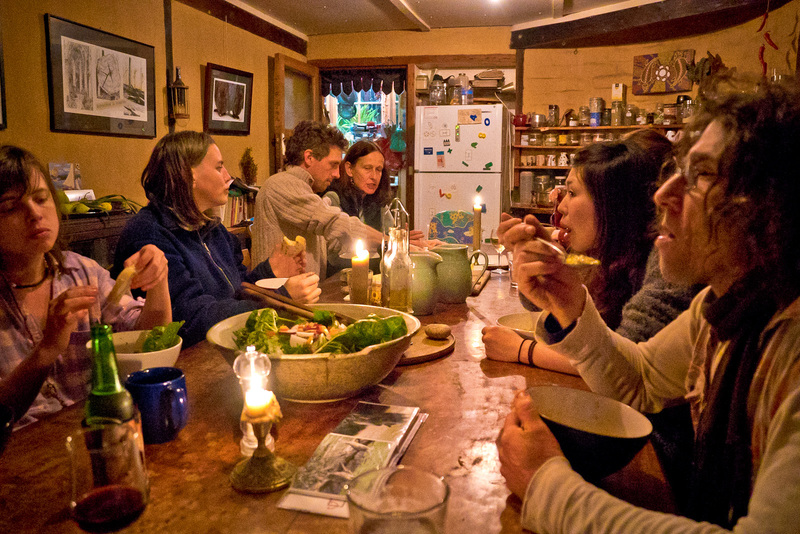 ** intentional communities: a group of people or families who often have a like-minded series of beliefs or interests often to do with living simply, sharing resources, spiritual orientation or other lifestyle desires. Many times they are seeking for “true” community which is something that has often been lost in modern society. I wrote this previous full-length entry on intentional living as well. 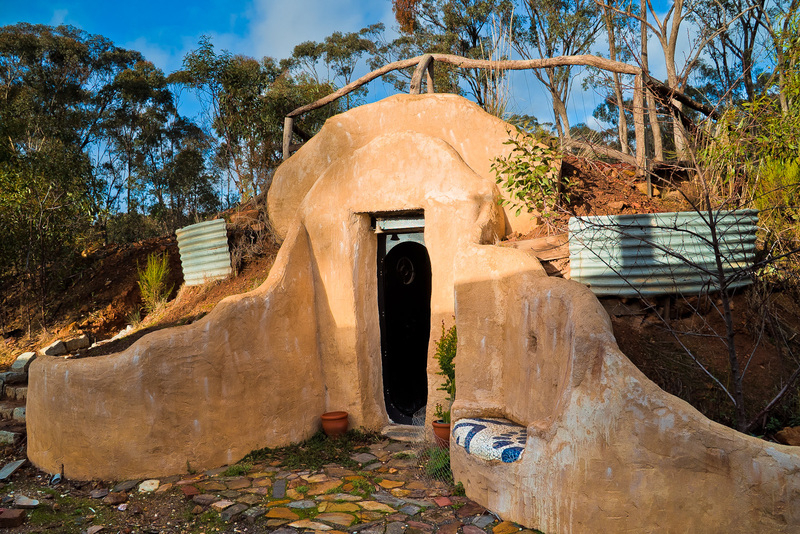 *** off-grid refers to complete disconnect from city/council services (which are often tied to environmentally-damaging or expensive services that don’t take advantage of natural alternatives). Someone off-grid would have a total reliance on things like the sun, wind, hydro-power, etc. to provide power, composting toilets, harvested rainwater or other freshwater source and would ultimately be a very thrifty user of resources. Poor planet Earth has so many problems with us humans as we plunder, ravage and abuse this green and blue sphere that we call “Mother”. Climate change is in full swing but worse than just increased earthquakes and dirty air is the fact that we simply cannot sustain ourselves with the amount of energy we use nor will we have enough clean water to drink in the foreseeable future (certainly some parts of the planets are far beyond this already).